The bill was shepherded through the legislative process in coalition with Hawai‘i CFS, Sierra Club Hawai‘i and the O‘ahu Chapter of the Surfrider Foundation. Soil Solutions provided written testimony for the measure as it passed through several committee hearings. On June 6th Hawai‘i Governor David Ige signed this bill into law. He also signed SB559 a law adopting the goals of the 2015 Paris Climate Agreement. making it a historic day for climate action. The creation of the Carbon Farming Task Force went into effect July 1, 2017 and is a direct outcome of the “Healthy Soils, Healthy Ranching” conference hosted by Hawai ‘i CFS and CFS Soil Solutions in October of 2016 on the island of Moloka‘i. Hawaiʻi CFS Director, Ashley Lukens serves on the Task Force. (1) making permanent the Carbon Farming Task Force and renaming it the Carbon Sequestration Task Force (Task Force); (2) aligning the Task Force’s initiatives with the Climate Change Mitigation and Adaptation Commission (Climate Commission); and (3) expanding the Task Force’s mission to include reducing urban temperatures via tree canopies and vegetation. In 2018 HB 2182 was signed into law. It renamed the Carbon Farming Task Force to the Greenhouse Gas Sequestration Task Force. California Department of Food and Agriculture appropriated $7.5 million in FY 2016-17 to develop and administer a new incentive and demonstration program on the CA Healthy Soils Initiative from the Greenhouse Gas Reduction Fund. The objective of this new Healthy Soils Program is to build soil carbon and reduce agricultural greenhouse gas (GHG) emissions. Read about the program framework. After hearing a presentation by our partners at Biodiversity for a Livable Climate, Maryland Delegate Dana Stein introduced HB 1063. The bill established the Healthy Soils Program directing the Maryland Department of Agriculture to provide incentives including research, education and technical assistance that contribute to healthy soils including farmer education. Soil Solutions generated support for the bill by sending out action alerts to over 5,000 CFS members in Maryland asking them to support the bill. The legislation, which passed unanimously in the Senate and overwhelmingly in the House, had the support of both climate change activists and the Maryland Farm Bureau. proposes to require the Secretary of Natural Resources to establish a regenerative soils program whose purposes include increasing the carbon sequestration capability of Vermont soils, reducing the amount of sediment and waste entering the waters of the State, and promoting cost-effective and healthy soil management practices. Center for Food Safety’s soil team will be keeping an eye on the status of this innovative soil legislation and will post updates here. Assemblywoman Didi Barrett introduced A3281 in 2017, a first-of-its-kind bill to use a tax credit model for farmers who maximize carbon sequestration potential on their land. Although the bill did not pass this past year, Barrett was able to incorporate the Carbon Farming Act into the state budget which is providing $50,000 to study incentives for carbon farming tax credits, grants and other programs. “An Act to Promote Healthy Soils” (No.3713) presented by Paul A. Schmid III, would establish a fund for education and training for those engaged in agriculture that regenerates soil health. Indicators of healthy soil include levels of carbon, rates of water infiltration and biological activity. Oklahoma passed the “Carbon Sequestration Enhancement Act” in 2001. 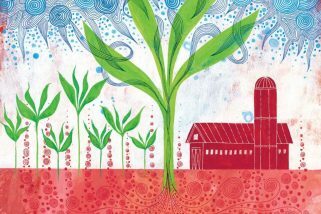 According to the Director of Soil Carbon and Soil Health Program, Stacy Hanse, their strong suit is education and are seeing a change in behavior. Utah enacted legislation in 2015 which establishes soil carbon sequestration as the state’s preferred approach to climate change. The act requests the President of the United States to direct Federal agencies managing land in Utah to develop specific plans to maximize the amount of carbon sequestered.